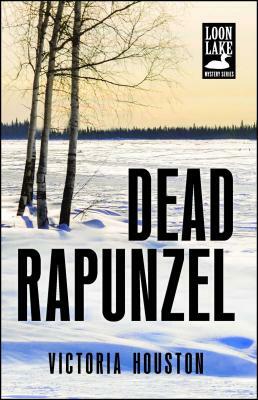 It's the dead of winter in Loon Lake when a wealthy widow is run down and killed by a logging truck on an icy street. The truck driver insists he saw a man shove the woman into the path of his truck. A lone witness who may have seen the man who shoved the victim is soon found dead--drowned in icy waters where he was ice fishing. Within hours, Police Chief Lewellyn Ferris finds herself dealing with malicious family members related to the dead woman, a cache of grisly paintings, and strange disturbances on the land surrounding the widow's contemporary mansion--all of which point to various people who may have wanted her dead. Lew recruits her close friend and fellow flyfisherman, retired dentist "Doc" Osborne, for his forensic and interrogation skills. Meanwhile, Ray Pradt, ice fishing guide and expert tracker, helps with the initial investigation even as he threatens to engage in an inappropriate relationship with a key witness. Lew's life and career is further complicated when a young woman calls, convinced that Lew is her birth mother. In her teens and twenties, mystery author Victoria Houston was the classic hometown girl who couldn't wait to leave her small Wisconsin town. She has not only returned to her hometown, Rhinelander, but she has based her popular mystery series in the region's fishing culture.